He is partner and director of the Agency Zoe of scientific and medical information based in Milan – working for several media, mostly on medicine and health, but also on science policy, the Internet and electronic publishing. In 2016-17 he was Research Fellow of the Knight Science Journalism Program at the Massachusetts Institute of Technology in Boston. He is a member of the Italian Order of professional journalists since 1994. Fabio held several courses on science journalism with the Italian Order of Journalists and Science Writers in Italy. 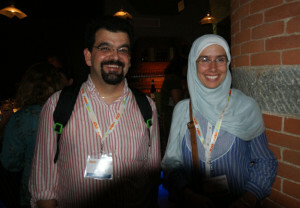 He is the President of the professional association Science Writers in Italy (SWIM), created in 2009 to promote the diffusion of accurate information about science and technology through all media and federated with the European Union of Science Journalists’ Associations (EUSJA) and the World Federation of Science Journalists (WFSJ). Science Writers in Italy is also among the promorters of the European Federation for Science Journalism, an initiative of science journalists’ associations from Belgium. France, Germany, Italy, Norway, Switzerland, The Netherlands and the United Kingdom. He is board member and co-chair of Communication of the 11th World Conference of Science Journalists that will take place in Lausanne (Switzerland) in July 2019. In 1987, he started working part-time in the newsroom of the monthly journal of science popularization «Sapere», where he worked as junior editor until 1992. From 1992 to 1997 he worked as editor and writer in the weekly for medical practitioners «Tempo Medico». Since 1990 he contributed articles on science, health, environment and technology to several Italian outlets, including «L’Espresso», «Panorama», « la Repubblica», «la Stampa», «Il Corriere della sera», «la Nuova ecologia», «Salve», «Telèma», «Diario», «Il Sole 24 Ore», «Newton» and «Wired». In 1998 he started contributing news articles for the weekly medical journal «British Medical Journal», now «BMJ». In 1997-1999 he has been deputy editor of the monthly «Occhio Clinico Pediatria» for pediatricians. In 1998-1999 he has been the editorial director of the «Epidemiological bulletin of the Region Lombardy». He worked at the organization of several TV shows on scientific-medical topics for the State radiotelevision RAI. He also wrote for several medical encyclopaedias for the general public. Since 2011 he is taking part in the project for an International network of Science Media Centres, leading the Italian effort. In January 2012 he became managing editor of the Italian Journal of Public Health, renamed in 2013 Epidemiology, Biostatistics and Public Health, from which he resigned in March 2014. In 1994 he attended the EICOS project (European Initiative for Communicators of Science) held at the Max Planck Institute in Martinsried, Germany. In 1997 he attended a course for journalists on the evaluation of the medical litterature organized by the Norwegian Cochrane Network and the Norwegian National Institute of Health Folkehelsa, in Oslo, Norway. In 1999 he held a speech about «Medicine in Internet, between timeliness and caution» at the national conference of the Italian Librarians’ Association, and coordinated the session of the World Conference of the Cochrane Network entitled «Can scientific journalism be more evidence-based? An international perspective» at the Higher Institute of Health in Rome. From 2001 to 2005 he held an introductory course to computer-assisted research and reporting applied to science and health at the Master Course in Science Communication of the International School for Advanced Studies (Sissa/Isas) in Trieste. He also held couses at the University of Padua, the University of Pavia, the Catholic University in Milan and the State University in Milan. In 2008 he was an invited speaker on «Facts and misdemeanors of Internet» at the 2nd international conference on «The pharmaceutical life cycle» at the Quebeq University in Montréal (Canada). Fabio Turone with Nadia El-Awady – then President of the World Federation of Science Journalists – at ESOF Turin 2010. In 2009 he took part as media expert in a workshop on pharmacovigilance and communication at the International School of Pharmacology in Erice, Sicily, that resulted in the “Erice Statement 2009: communication, medicines and patient safety” published on the British Journal of Clinical Pharmacology, and later was an invited speaker at the International Society of Pharmacovigilance Annual meeting in Reims (France) about the communication of risk and the media. In 2010 he held a speech at the International School of Scientific Journalism and Communication in Erice, Sicily, on “The Fear Factor: Dealing with Risk Communication between Alarmist Headlines and Confident Declarations”. In 2011 he was among the speakers of the 7th World Conference of Science Journalists in Doha (Qatar), and held a keynote speech about science journalism at a seminar on Science Communication at the UNESCO’s International Centre for Theoretical Physics in Trieste. In 2012 he produced a panel on Science Media Centres at the International Conference of Public Communication of Science and Technology (PCST 2012, Florence, Italy) and represented the voice of science journalism in a panel on Open Access, embargoes, and quality of health reporting. In November 2012 he was invited to debate about science journalism at the UNESCO’s Expert Meeting in Sarajevo (Bosnia and Herzegovina) with the Science Ministers of South East European Countries. From 2012 to 2016 he was Course Director at the Erice International School of Science Journalism. In 2013 he took part in the COST Symposium on Open Access in Vienna (May 13-14) where he acted as Rapporteur for the Biomedicine and Molecular Biosciences (BMBS) group discussions. He was a member of the Programme Committee and the International Advisory Network of the World Conference of Science Journalists that was held in Helsinki, Finland, in 2013. He contributed to the EUSJA workshop on statistics, investigative science journalism and narrative writing and was among the panelists in a panel on uncertainty produced by Sense About Science. From April 2012 to September 2013 he was associate member of the board of the European Union of Science Journalists’ Associations (EUSJA). Since 2013 he has been consulting for UNESCO on a project to establish a School of Science Journalism and Communications in South East Europe, coordinating the first edition held in Belgrade (Serbia) in October 2013 and the second edition held in Podgorica (Montenegro) in September 2014. In 2014 he was invited to speak in a EU-sponsored panel on “The danger of new infections” at the ESOF2014 meeting in Copenhagen. In 2015 he held a course on ethical Science Journalism for the Italian Order of Journalists, and received a fellowship to attend the Kavli workshop on Nanotechnologies at the MIT Knight Science Journalism Program in Boston. In 2015 he was invited to hold a lecture on the role of the media within the course on “Forensic medicine and biology: scientific, juridical and bioethical profiles” at the Higher School of the Italian Magistrature in Florence. He is member of the External Advisory Board of the EU-funded project ASSET (Action plan on Science in Society related issues in Epidemics and Total pandemics). In 2016 he was selected as a Research Fellow of the Knight Science Journalism Program at the Massachusetts Institute of Technology in Boston, USA. 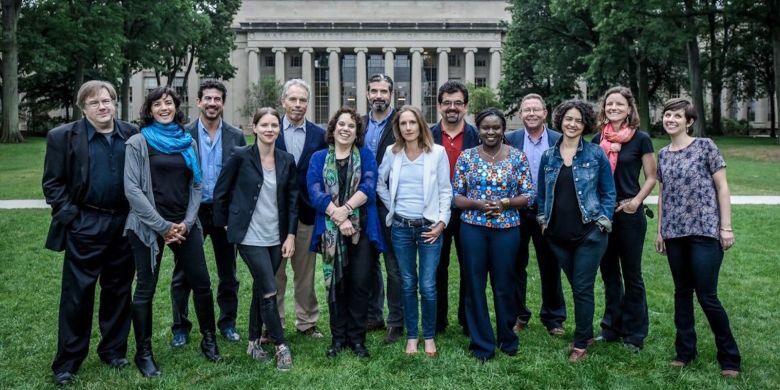 The 2016-2017 fellows and directors of the Knight Science Journalism Program @ the Massachusetts Institute of Technology posing in front of the main building in Cambridge. The Italian Order of professional journalists, since 1994. The U.S. National Association of Science Writers (NASW), since 1994. Investigative Reporters and Editors (IRE), since 2002. The Association of Health Care Journalists (AHCJ), since 2004. Since 2011 he coordinates the AHCJ Italian Chapter. He speaks and writes in Italian and English, speaks fluently in French and Spanish, and is capable of communicating a little bit also in Portuguese and German.